and instruction in the areas of education, employment, health, mentoring, and community service. Award-Winning StreetPositive.com®, a division of 4Positive Knowledge (1997), was originally established in 1999 to promote child safety among elementary school students. By 2003, both StreetPositive.com and Street Style Positive™ had evolved into notable ventures advocating various prevention and intervention campaigns among parents and youth. The first campaign addressed youth taking responsibility for their decisions and choices. The second campaign addressed parents taking responsibility for their children. By 2004, StreetPositive.com had begun receiving a significant number of inquiries by parents, educators and community leaders interested in Street Style Positive™ partnerships to produce and promote events for the positive in their local areas. Today, the term Street Style Positive™ describes a distinct behavior among young people who are about handling their business, choosing not to get “caught up” and maintaining respect from their peers for not doing so. Offers club programs and services to promote and enhance the development of boys and girls by instilling a sense of competence, usefulness, belonging and influence. CYC is guided, focused and driven by current and former foster youth with the assistance of committed community members. They promote the participation of foster youth in policy development and legislative change to improve the foster care system. They offer a 24-hour hotline for runaway and homeless youth and crisis calls. They also provide crisis intervention counseling, and referrals to resource agencies for shelter, transportation, medical care, legal aid or counseling in the area where the call originates. Children and Family Services mission is to protect children, offer services to stabilize families to remain together, provide permanency for children if they cannot remain safely in their own home and strive to make the lives of children and families better. The goal of the Children’s Network is to help “children at risk” by improving communications, planning, coordination and cooperation among youth-serving agencies; identifying gaps and overlaps in services; providing a forum for clarifying perceptions and expectations among agencies and between agencies and the community; setting priorities for interagency projects; and implementing collaborative programs, public and private, to better served children and youth. Choices Clinic seeks to help young women and their partners by providing medical and counseling services in addition to life skills mentoring programs in order to offer the necessary assistance they require when faced with an unexpected pregnancy. Establishing innovative programs that provide families with a safe and healthy environment. Challenging individuals to achieve positive results towards personal and collective prosperity. Promoting personal growth and creating opportunities for asset building. They serve children and families in San Bernardino County, offering parenting classes, anger management classes, and various forms of therapy. Forward Focus Youth Enrichment Center provides high-quality youth services and enrichment programs that are engaging, educational, and entertaining. 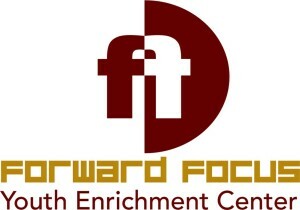 The purpose of FYS is to meet the unique educational needs of children and youth in foster care, or in homeless situations, by providing advocacy and other services designed to encourage student academic and personal success. They offer behavior modification, youth empowerment, cognitive provoking exercises, gang intervention training, health education, and training. ILP program designed to provide basic life skills, career exploration and job readiness preparation for foster teens. Offers low-cost and sliding-scale health care for children and youth ages 0-18. Services include well child check-ups and physicals, weight management/nutrition classes, asthma classes, application assistance for Medi-Cal and Healthy Families Insurance Programs. KidsNCare offers resources for parents, child care providers, and the community on behalf of children. Designed to offer mentorship programs for underprivileged and neglected children, helping them improve their chances of achieving a positive and successful life. The Foster Care Ombudsman’s Office investigates complaints about state and local agencies regarding foster care. They provide an independent forum for review and resolution of concerns related to the care, placement or services provided to children and youth placed in foster care. Provides high-quality, professional counseling to anyone in need. Offers a variety of services including reading clubs and arts and crafts. The Preschool Services Department is committed to improving the well-being of our children; preserving and empowering their families and strengthening the communities in which they grow. TAY works with foster youth between the ages of 16 and 25. The goal of the TAY Center is to assist youth in becoming independent. The Center offers Independent Living Skills Classes, Therapy, Homeless Assistance, Employment and Transportation Assistance, GED/High School Diploma classes and much more. Provides foster care, mental health services, therapy and residential/homes for children who have been victims of abuse, violence, neglect and abandonment. An organization that assists families with the many crises surrounding the death of a child. Dedicated to helping troubled children, adolescents and families, Valley Star uses individualized and highly flexible approaches that span school, family, and community environments. 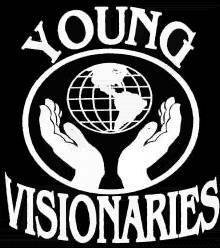 The organization’s purpose is to help enrich the lives of young people through life building activities and instruction in the areas of education, employment, health, mentoring, and community service. The Brightest Star, Inc. (BSI) program is dedicated to providing mental health wellness to abused, abandoned and neglected children and teens in foster care through a wide variety of activities to cover different therapeutic formats to promote healing, self-esteem and dream building. At DrugRehab.com, their mission is to equip patients and families with the best resources and tools to overcome addiction and lead a lifelong recovery. Though they are faith-based out of Florida, their website offers extensive information related to drug addiction, side effects as well as how and where to get help. Dangerous Drugs – Aims to be your trusted resource, educating the public about all defective medical devices and dangerous medications that are available on the market today. We accomplish our mission by providing you with a one-stop resource where you can find comprehensive information about these defective drugs and medical devices. The Wilmette Institute was founded in 1995 to provide basic and advanced courses on the Bahá’í Faith. Its first four-year program, Spiritual Foundations for a Global Civilization, provided a comprehensive study of the Bahá’í Faith through on-site summer residential sessions supplemented by several months of in-depth online study.